Home › Anime › Mobile Police Patlabor – The Early Days Review: Is It Just A Job? Even as a fan of modern live-action Japanese cinema, I felt a tinge of dread when I heard that the 80’s police drama-comedy Patlabor series was going to get a live-action T.V. adaption. People who have read my other reviews of 2000’s to 2010’s era Japanese live-action movies know my familiarity with the strengths and weaknesses of Japan’s modern Hollywood. They have big ideas and often great practical visuals like costumes and effects, but their budgets fall short simply because, when you get down to it, big visuals like a realistic Mt. Fuji’s covered in buried corpses like in Tokyo Zombie take an investment only the American industry can afford. Think about it, even monstrous for Japan budgeted fair like the 20th Century Boys and Gantz live-actions looked under budget at 20 million U.S. and 45 million U.S. respectfully. Compare that to an American film industry where 54 million is dropped on a simple Owen Wilson romantic comedy like You, Me, And Dupree, I couldn’t fathom what a Japanese budget could do to represent Patlabor’s iconic military tools, the Patrol Labors. But with dread comes a reminder, that I never did watch or review the original seven episode Patlabor OVA, Patlabor: The Early Days. Let’s fix that! Patlabor’s origin is an odd one, as it was produced by Sunrise but was pushed as the star project of 80’s creative team Head Gear. Head Gear included five key people; mangaka Masami Yuki (who made theinitial ongoing Patlabor manga), character designer Akemi Takada, screenwriter Katzunori Ito, designer Yutaka Izubuchi, and director Mamoru Oshii (who I know we have talked about before). From that initial five, other recognizable people like composer Kenji Kawaiand Moribito and Ghost in the Shell: Stand Alone Complex director Kenji Kamiyama were also involved. 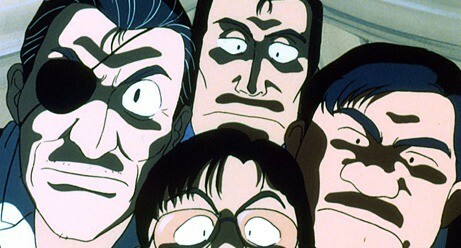 For the purpose of these original seven episode OVAs, Mamoru Oshii directed the first six episodes and director Naoyuki Yoshinaga (who I will forgive for helping bring that horrid A.D. Police Files spinoff Parasite Dolls into existence because he directed most of the Irresponsible Captain Tylor OVAs ) directed a seventh episode that aired during the same time as the first Patlabor movie. The original 1988 Patlabor: The Early Days centers on introducing the Tokyo in the not to distance future setting, where mecha units called Labors are used for everyday tasks, no different from the average bulldozer or crane. Within Tokyo’s Metropolitan Police is the 2nd Special Vehicles Section (SV2), a base located by the bay near a bridge that houses both officers and mechanics. SV2’s top official (and my personal hero) Captain Kiichi Goto peers over his coffee and out his office window to see his new team of cadets. 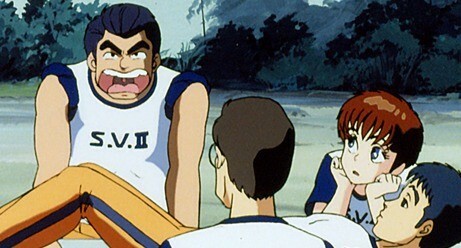 All in their mid-20’s and fresh from training, the wet-behind-the-ears cadets include: cheeky Patrol Labor maniac Nao Izumi, reluctant and passive Asuma Shinohara, hen-peaked husband Mikiyasu Shinshi, soft-spoken giant Hiromi Yamazaki, and combat hyped (my personal favorite of the five) Isao Ohta. Captain Goto’s job now is to command and work these new cadets into working order, as the world is not safe when Labor terrorists and secret conspiracies plague the future Japan of…1998? Wow, that really is not too distant. What’s nice about the Patlabor universe is that many of the episodes can potentially stand alone and don’t follow a “find these terrorists and stop them” formula. Similar to the “stand” alone as compared to “complex” episodes of the Ghost in the Shell T.V. shows, The Early Day’s include such varied episodes as finding a water monster in Tokyo Bay, or investigating an alleged murder at a cadet training ground where ghosts pilot Patlabors and blood mysteriously fills in-door baths. After the rather rough paced first two episodes, whose bog comes from having to establish terminology and story characters, the show picks up in this neat way where every episode feels distinctly memorable. The two part episode five and six story where Captain Goto’s old college, friend Kiyoteru Kai, leads military rebels to overthrow Japan is a great example of what makes Patlabor distinct. The episodes feel self-contained, but distinct in a way not usually seen in a semi-episodic series like Patlabor. It’s an approach to world building where you can introduce concepts and areas like the land expansion construction site, called the Babylon Project, in episode three or five, but further implement the idea down the line like how the Babylon project was center stage in the first Patlabor movie. Patlabor: The Early Days also sets the tone of a character interaction series parallel to the police procedural. While SV2’s multiple adventures in protecting the countries’ peace are often detailed, exciting, and fun to puzzle out, The Early Days also wants to enthrall with its slow scenes of SV2 just waiting to act. Scenes where they are working overtime and just crammed packed into their single room watching T.V. while the sun sets through the blinds are just as important as Captain Goto figuring out and confronting who wants to kill the prime minister. I feel that much of The Early Day’s draw is seeing these people get along, like watching ready-for-action Ohta and mild-mannered Shinshi engage with the T.V. news or watching Nao and Shinohara celebrate New Year’s by drinking with Nao’s dad in the country side. Mamoruo Oshii does mellow much of the somber quite with both small visual gags and jokes between the crew. A nice part of The Early Days is seeing characters work inside and outside the bureaucracy expected of a police force and how there really isn’t a main character. Often, episodes will center on how someone of authority, like Captain Goto or Captain Goto’s office mate and confidant Captain Shinobu Nagumo of First Division, will contrast in their different approaches to working at a desk. From there, the perspective will change to say Noa and Shinohara with their Patlabor Alphonse on the streets of Tokyo. They are the front line, expected to be people of action, where Captain Goto and Nagumo are expected to be people of thought. Now at first blush, Noa appears to be the main character because of her big presence of Patlabor cleaning and hot dog eating in the opening theme. Yet The Early Days, especially in episode five when they all go home to families for New Years, wants to show that it has no main character. It’s capable of focusing detailed attention on anyone in its cast, like one good scene where in the giant Yamazaki visits his mother in Okinawa and they reflect on Yamazaki’s dad’s passing. Pros: A relatable cast of characters whose mid 20’s daily life is more interesting than most of the high school drama we tend to get spoiled on in Anime. A subtle showpiece of the type of humor Mamoru Oshii used to work in back in the 80’s. Something about the world since in The Early Days marks this nice balance of what a realistic future world could be. The Kenji Kawai soundtrack, with its airy snyth and keyboard instruments and excited vocals, is distinctly its own from the later Patlabor soundtracks like the dramatically cerebral music of the movies. Cons: Patlabor: The Early Days has this magic ability to engage me, but at the same time make me tired from how slow and quite is can be at times. Mandatory introduction of world building elements and character introduction means the show doesn’t pick up steam until episode 3. Procedure often takes time away from getting the objective completed, liked in the sixth episode where a huge military Coup d’état is stopped within four minutes and the episode ends the instant the enemy is cornered. 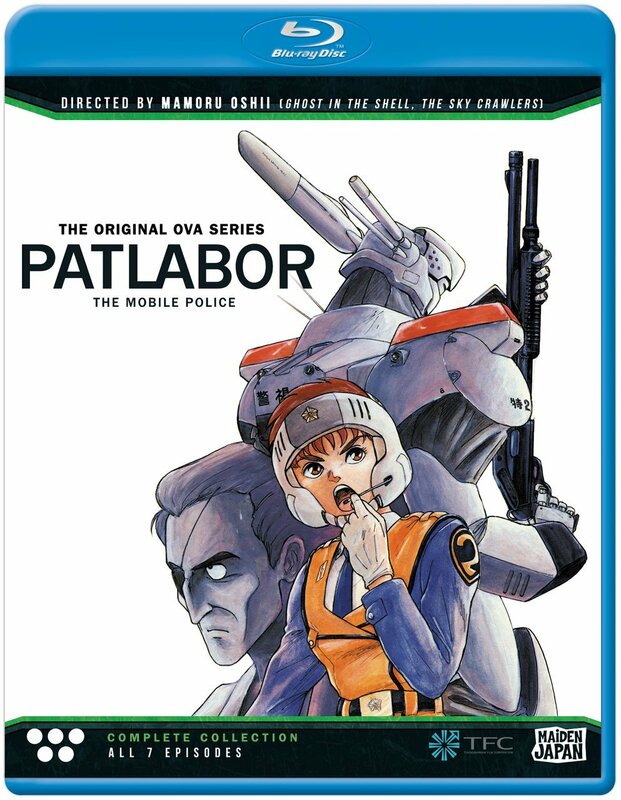 Section 23’s other publishing operation (no, not Switchblade Pictures) Maiden Japan released not only Patlabor The Early Day’s on DVD and Blu Ray, but the entire Patlabor T.V. show as well. I could argue that it’s possible to get into (or get someone else into) Patlabor with the first two movies, demonstrating the talking heads expositing philosophy and rhetoric with the fantastic fight scenes expected of Mamoru Oshii’s work. But The Early Day’s shows off Oshhi’s other talents, like what he can do with comedy and stories where the stakes are more dealing with training facility ghosts then conspiracies to use construction buildings to cause Tokyo’s Labors to malfunction and run amok. If you are looking for a Patlabor or a shown in general that’s more down to Earth, while still encompassing much of Patlabor’s big world feel, I say check Patlabor: The Early Day’s out. No really, even the Blu-Rays have gotten pretty cheap, as I have single Criterion Collection movies which cost more than the price of this entire OVA.